for $270,000 with 2 bedrooms and 2 full baths. This 1,147 square foot apartment was built in 1995 on a lot size of 1114.00 Sqft. 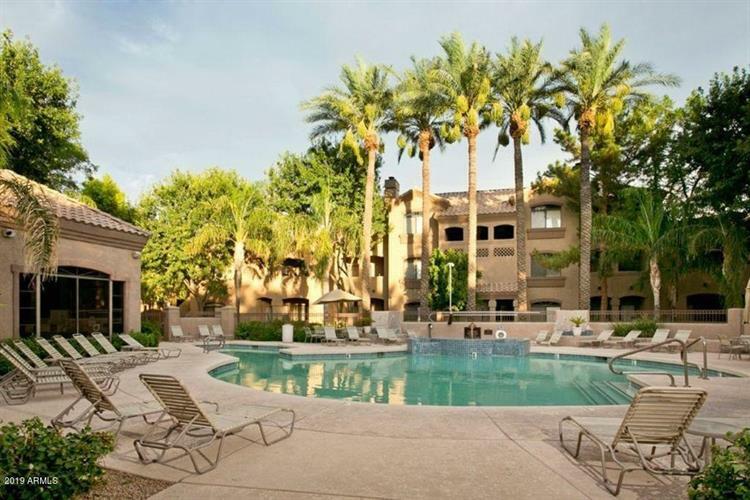 Fully furnished, luxurious GROUND floor, 2 bedroom, 2 bath condo unit located in the beautiful North Scottsdale Horizon area. Currently being used as a VRBO Vacation rental and has reservations in place throughout the coming year. Great earning potential as it is currently being rented 250-300 days/year. Upgraded with granite counter tops and laminate hardwood floors throughout the condo. This unit includes a huge wrap around patio and offers the largest 2 bedroom 2 bath layout available at Signature Scottsdale.